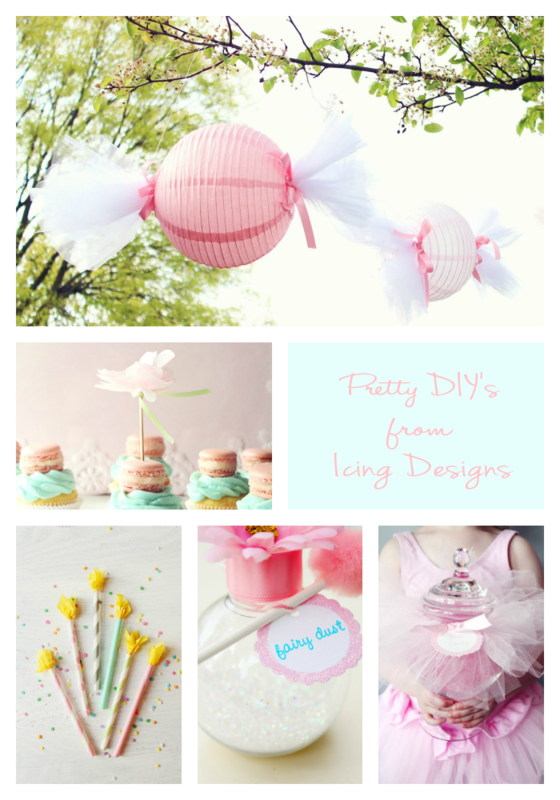 Party Planning and Pretty Party DIY’s are VERY close to my girly heart! Here are 5 Gorgeous projects that just scream, Make Me Make Me!! You can thank Icing Designs for these beauties! Those hanging candies are Delightful!!!! The lantern fix up is incredibly cute! How original!